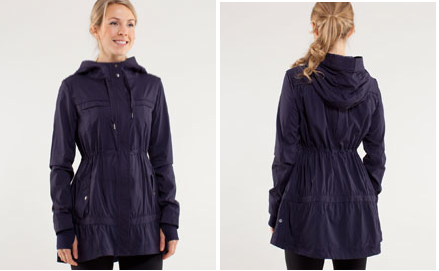 A US store just posted this picture of the Apres Practice Anorak in Deep Indigo. I actually find the Deep Indigo in the swiftly material much brighter in person than it shows in the product images. More of a true jewel tone indigo than a Navy.